Microsoft hasn’t yet told us if Spartan will replace IE on Windows 10, but past rumors did mention they’d both ship alongside each other, so perhaps that’s what will happen. 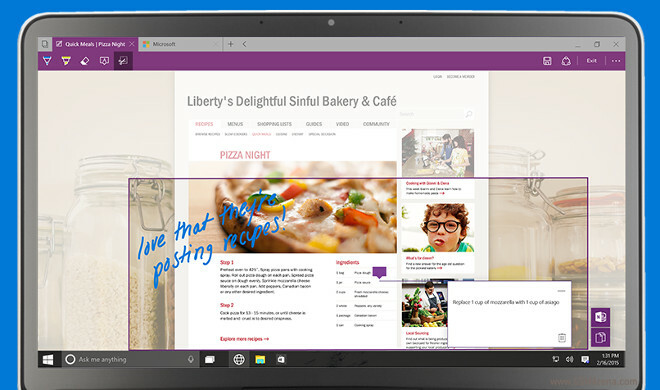 Three main features of Spartan were introduced today, but undoubtedly there’s more to come. And even before we get into those, it’s obvious that the new Microsoft-made browser looks more modern than IE, in line with its competitors such as Chrome and Firefox. The whole UI is simplified and there are much less ‘chrome’ elements to be seen (stuff that’s not actually part of the webpage you’re looking at, that is). So that’s one step in the right direction, clearly. Based on the official image you can see above, it’s also likely that Spartan will support themes, though probably not by itself – we assume it’s going to adapt its looks to the Windows theme you currently have selected. The browser will also come with built-in note-taking and sharing features, allowing you to ‘select’ any part of a webpage, annotate it, and then share it with your friends or coworkers. Project Spartan is going to get a reading mode too. This will show you a distraction-free view of the page you’re looking at, with nothing to get in the way of a good reading experience. Think of it like Microsoft’s interpretation of Safari’s Reader Mode. Spartan will have a built-in reading list to complement this mode, and this will be synced across devices naturally. Finally, Cortana will be inside Spartan, not just Windows 10 as a whole. She will do things to make your life on the Web easier, such as quickly show you weather details, or give you more information about places such as restaurants. She will make the most of the information she has on you, using it in ways that can help you find things out quicker.